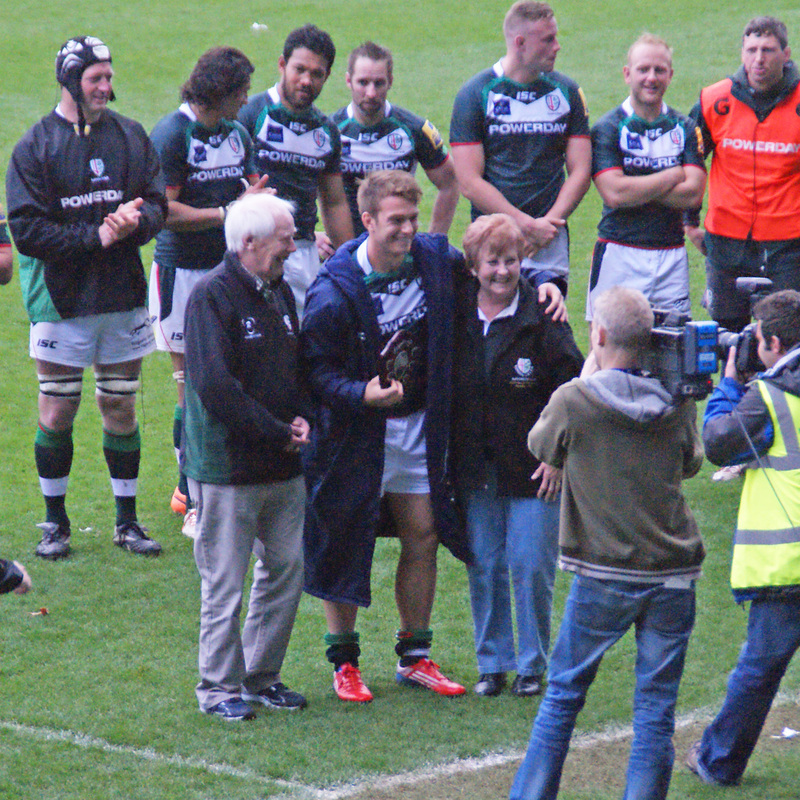 Following our last home match of the 2013-14 season presentations were made to the London Irish Supporters Club Player of the Season as voted for by the LISC membership, the St Clare’s Travel award to the Young Player of the Season presented by Tony and Maureen Byrne of St Clare’s Travel, and the Robin Clive Memorial Trophy (Academy Player of the Season) as chosen by the Academy coaching staff. 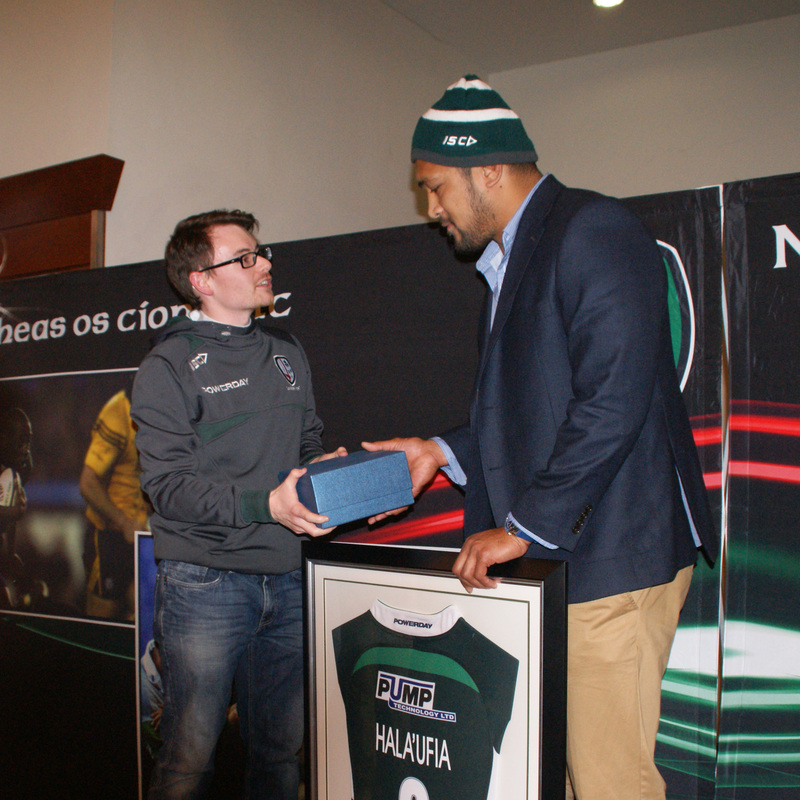 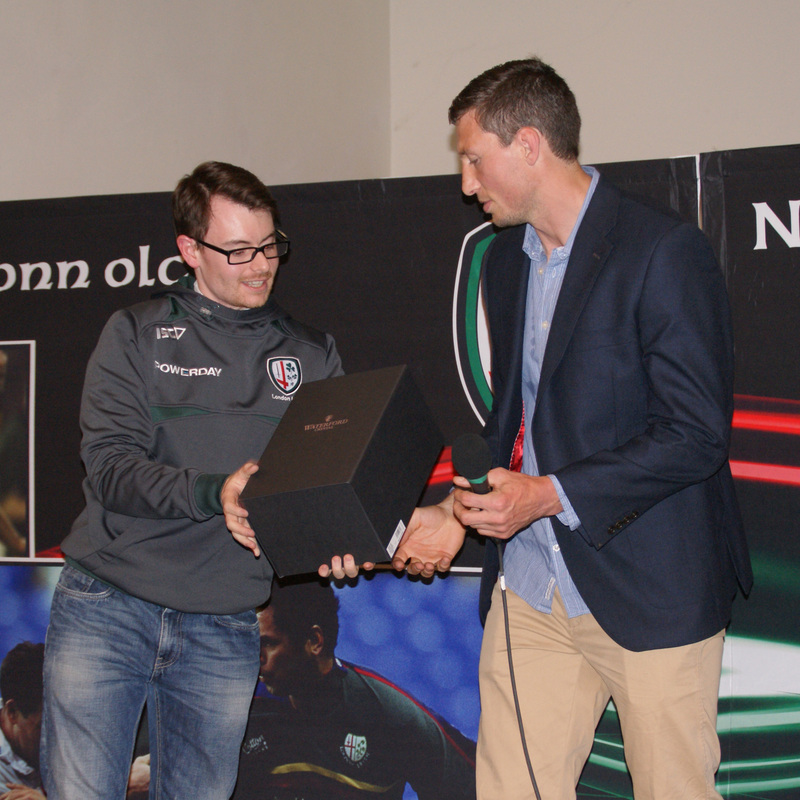 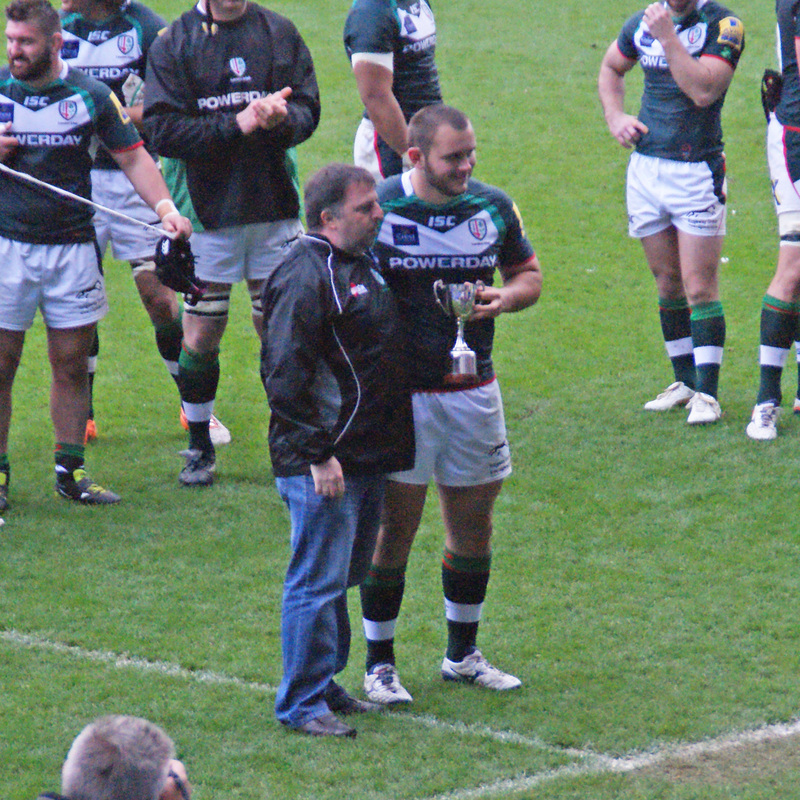 At the end of each season the London Irish Supporters Club make presentations to departing or retiring players who have given many years of service to the London Irish. 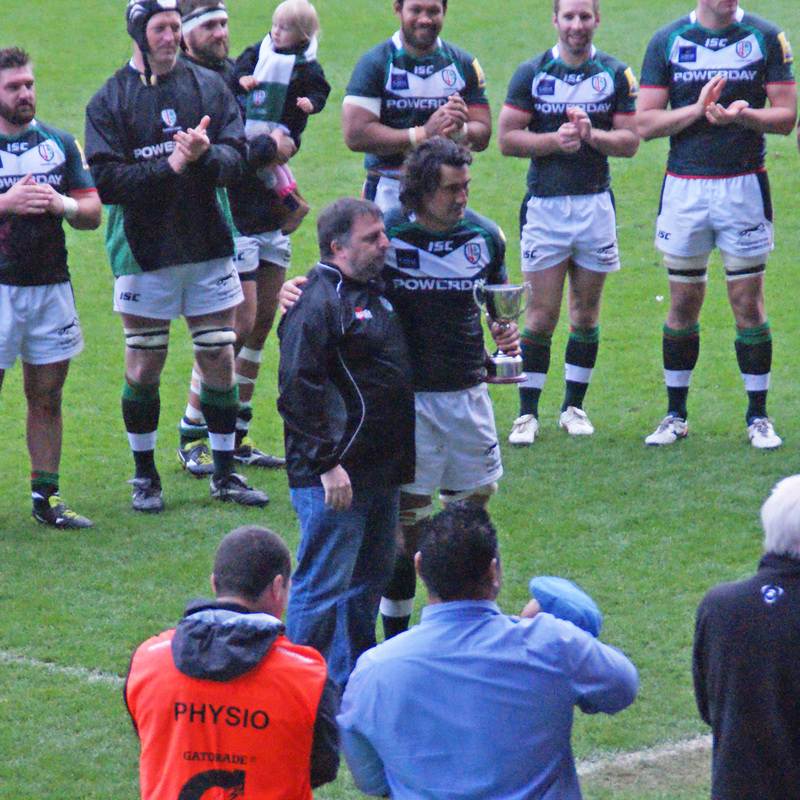 In addition we are also saying farewell to Ian Gough; Ian Humphreys; James O’Connor and John Yapp. 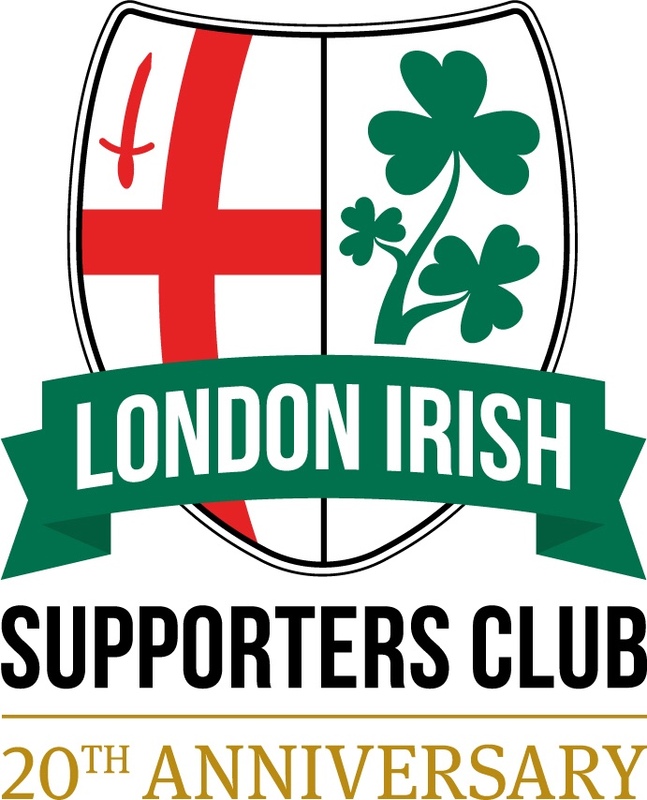 On behalf of all London Irish supporters, we would like to thank all those who are moving on for their service to London Irish and we wish them good luck for their futures.